Human Chromogranin A ELISA Kit — Epitope Diagnostics, Inc. 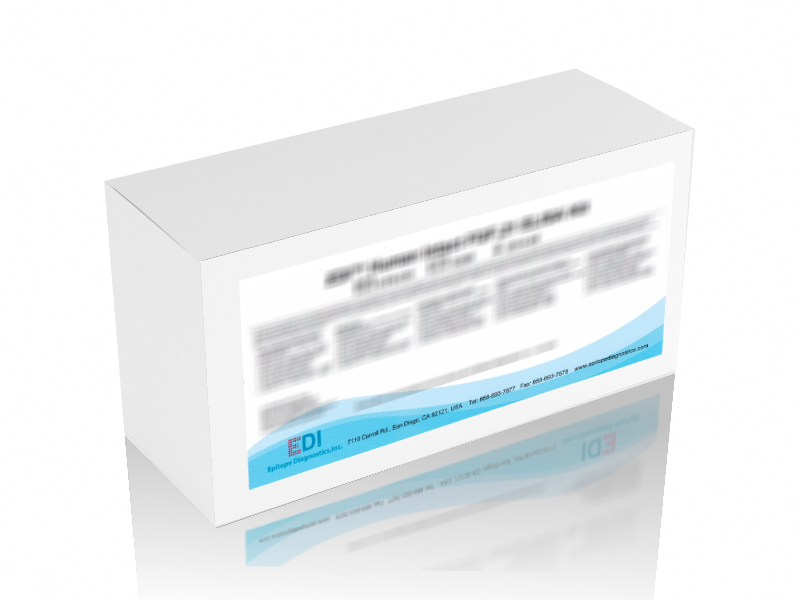 This ELISA (enzyme-linked immunosorbent assay) kit is intended for the quantitative measurement of human chromogranin A levels in EDTA-plasma and serum samples. This assay exclusively measures human chromogranin A without the high dose "hook" effect up to 1,000,000 ng/ml. This test may be used as an aid for detecting pheochromocrytoma and neuroendocrine tumors in patients. This chromogranin A ELISA kit is for in-vitro diagnostic use. Chromogranin A is a 49 kDa acidic protein that consists of 439 amino acids encoded on chromosome 14. Chromogranin A has been identified in a number of normal and neoplastic endocrine tissues. It is demonstrated that an elevated level of circulating chromogranin A is a marker for tumors of neuroendocrine origin. However, the most significant clinical use of chromogranin A is related to the diagnostic procedure in patients with pheochromocytoma. The following is a short summary of the potential usages of chromogranin A. 1. A very sensitive (83%) and highly specific (96%) marker in the evaluation of actual or suspected pheochromocytoma. Drugs commonly employed in the diagnosis or treatment of pheochromocytoma have little effect on plasma chromogranin A levels, which is a great advantage over the measurement of catecholamines. 2. To ascertain the source of a tumor. A high chromogranin A level indicates that the tumor arises from neuroendocrine tissues. 3. Endocrine tumors that do that produce their specific hormones, for example, calcitonin negative but chromogranin A positive C-cell carcinoma; zero-cell carcinoma; beta-cell carcinoma; parathyroid carcinoma.